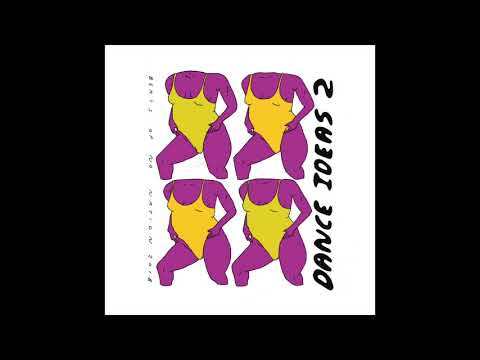 It is with great pleasure that we bring you “Dance Ideas Volume 2”, courtesy of Australian crew Beats of No Nation (BONN). Initially kicking off as a radio show which was all about projecting class dance music to the masses, the franchise quickly expanded into a record label, which has since released five juicy EP’s. Since launching this beautiful sonic creature in September 2015, BONN have hosted a ream of esteemed house personnel such as Mall Grab, Francis Inferno Orchestra, Fouk, Folamour and Seb Wildblood on their show. The Aussie lads (Dom Bird, Jad Lee and Sean Bate) have also received high praise from their radio show brothers and sisters in NTS, Xlr8r, Thump and Bradley Zero. With pats on the back from this grouping, it’s pretty obvious they’re doing plenty right! This time round we’ve got ourselves a delectable little compilation which shines a light on works from Ibiza resident Corbi, Hackney’s Lavan, Berlin’s Jad & The and finally a spacey delight from West Australia’s Olywok. Corbi’s opener screams the setting sun. Combining clicking drumbeats, elevating strings and one very funked out guitar scale, this one’s a lovely grind. Be sure to hang in there for that soothing vocal monologue to entwine you, ‘it’s all so quiet and beautiful with the whole city right out in front of my eyes’. Next up comes UK cat Lavan’s The Right Thing (The Hardest Thing). What’s most intriguing about this groovy slice is again the vocal sample chosen. At about the three minute mark a painter’s voice enters the fray, discussing his method of attacking a canvas. Enveloping this artists words are soaring strings and languid bass notes, making up a clinic in relaxed house. Our pick of the bunch and the premiere today is the third track, from the Germany-based Aussie lad, Jad & The (soundcloud). Simplicity really can be oh so sweet. For just over seven minutes Jazz Hands You’ll Never Understand carries us away with bongos and a spell-bounding piano loop. A jazzy cocktail of subtle sound that still encourages the boogie. Rounding out this crafty collection of dance thoughts comes Olywok’s Maintain. Boarding that lo-fi train, Olywok works together a flurry of acid stabs, digitised bleeps and haunting synth notes into quite the meal. A record destined for the quintessential Bush Doof! Beats Of No Nation don’t muck around with who they get into bed with and for the moment all those lying under the BONN sheets are very very impressive. Get your hands on “Dance Ideas Volume 2” on April 6th via BONN’s Bandcamp.